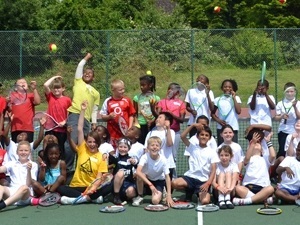 At Sydenham we have lots of fun activities for kids and you don’t have to be a member to come along and take part! A weekly drop-in session every Wednesday from 16:30 to 18:00 during term-time. These sessions are supervised by a coach and are suitable for children who have played tennis before and are able to rally. No need to book. Non-members £5. Members free.